Once I tasted Jane’s Cranberry Salsa, the possibilities for using it began to multiply. Chicken salad with cranberry salsa? Yes, please. But what I am sharing today is a fresh take on taquitos, which I invented as a way to further enjoy some remaining cranberry salsa. Instead of cheese, creamy mayonnaise ties together the chicken and salsa, creating a delightful, unique filling. The guacamole is entirely optional, but it blends nicely with the other flavours. From start to finish, this can be on the table in 30 minutes or less. In a medium bowl, mix together cranberry salsa, chicken or turkey pieces, mayonnaise, and green onion. Preheat oven to 375 degrees F (190 C). Lay a tortilla on a plate or flat surface and spread some filling in the center. Roll up tortilla to make a taquito roll. Repeat with remaining tortillas and filling. Place rolled tortillas in a greased baking dish and brush tops with oil or margarine. Bake for 10 to 15 minutes, until heated through. To crisp up the tortillas further, switch the oven to the broil setting for 2 minutes or so, watching carefully so they do not burn. While taquitos bake, prepare guacamole topping. Combine all guacamole ingredients in a small bowl. Mash with a fork and stir until desired consistency is reached. 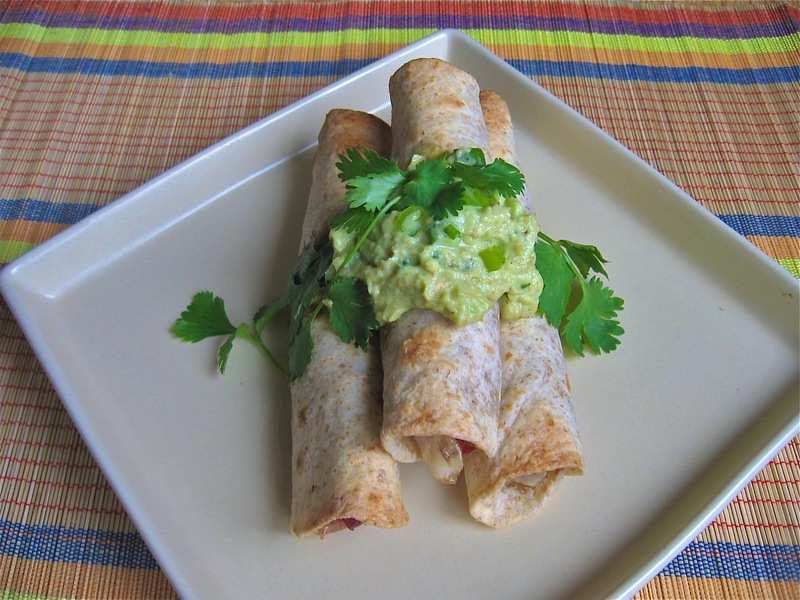 Serve baked taquitos while still warm, with guacamole and additional cranberry salsa on the side. I’m sharing this recipe here and at Simple Supper Tuesday. 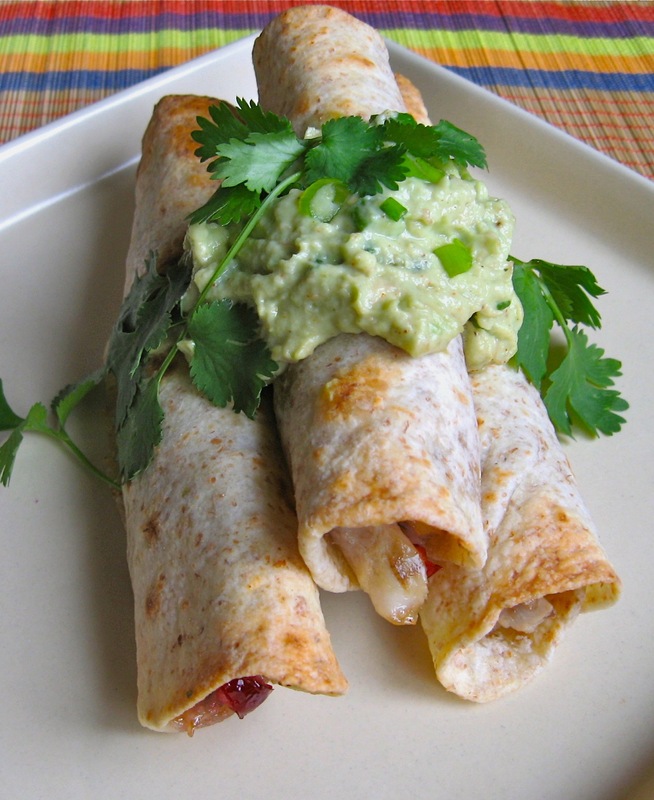 Cranberry salsa sounds amazing for these taquitos! What a fun idea! Cranberry salsa in taquitos? Yes please! Thanks for sharing at Simple Supper Tuesday. These look amazing! And what a great way to use leftover turkey! And yes please on the cranberry salsa! YUM all around! Thanks! And I just posted another recipe that would also work with leftover turkey–Cranberry Chicken Salad Mini Pitas. Enjoy!